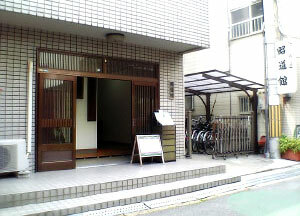 Shodokan Aikido headquarters (AKA Shodokan Honbu) is located in Osaka, Japan. Shodokan was formed in April 1967 by Kenji Tomiki Sensei exclusively to teach and research Shodokan Aikido. Today, Shodokan Honbu has a practice area of over 80 tatami mats, holds classes every day of the week, and has students from all walks of life and from many different countries. If you would like to contact Shodokan Honbu, please use this form. If you have a general inquiry about the Shodokan Aikido Federation, please use our main contact form.